Recently we were asked if we needed a speaker for our upcoming Good Mate Workshop on April 5. In our workshops we do not have speakers and attendees. We have guides and explorers. The idea of our workshops is to explore and flush out contemporary issues. Our guides, which I am one, only talk for a few minutes to frame an issue in order to stimulate thought. Then small teams of explorers work on the current issue for about 20 to 30 minutes. After the 20 or 30 minutes we have a general conversation on what the explorers found. This in not a new concept, we have been trying to perfect this procedure for the last 25 years from our first CHAOS University workshop in 1995. Much of the learning featured in PM2GO microblogs came out of these types of workshops. The Standish Group will hold a Good Mate Workshop in Burlington, MA (USA), at the Scrum.org classroom and will run from 9AM to 2PM. For more information go to our event page or sign-up in our store. On April 5, 2019, The Standish Group will hold a Good Mate Workshop in Burlington, MA (USA), at the Scrum.org classroom and will run from 9AM to 2PM. Evan Sorensen and JimJohnson will present an overview of over 65 years of research from The Standish Group (on project team performance) as well as the Gottman Institute (on personal relationships). The workshop will highlight our new book The Good Mate: How Understanding Team Relationships Can Make You Happier and More Productive. This workshop is neither a team-building exercise nor a technical workshop. It is focused only on how individual team mates can develop better relationship skills for cohesive, productive, and happier teams. For more information, contact Jennifer Lynch (jennifer@standishgroup.com), go to our event page or sign-up in our store. The Standish Group is working on an update to the Project Resolution Benchmark (PRB) to include an option to create your own measurement of success. Currently, the benchmark presents three success models: Traditional, Modern, and Pure. The new model is called “Custom,” and it allows you to create your own personal measurement. Within the company profile, “Custom” allows you to add your own definition of success by selecting the six success options in any combination and ranges. Projects that meet your definition will be considered successful. Projects that do not meet your definition of success will be considered challenged. Failed projects are projects that are canceled or not used. In the benchmark report, we will compare your projects against the 50,000 projects in the CHAOS Database for Traditional, Modern, Pure, and your new Custom definition of success. With the Custom feature, you can measure your projects against your own version of success. For example, the Traditional measurement is OnTime, OnBudget, and OnTarget—but maybe you would like to replace OnTime and OnBudget with “very high value” and “high value.We are planning to release the Custom feature in the first quarter of 2019. The six Success options and modifications are: 1) OnTime; 2) OnBudget; 3) OnTarget; 4) Customer Satisfaction with Very Satisfied, Satisfied, and Somewhat Satisfied ranges; 5) Return of Value with Very High, High, and Average Value ranges; and 6) Goalto the corporate strategy with precise, close, and loose ranges. The Project Resolution Benchmark uses a three-step method to help benchmark your organization against similar organizations on the basis of size, industry, project mix, types and capability. The results will provide you with three suggestions that can improve your project value and delivery by 25 to 50 percent and, in the process, greatly improve customer satisfaction with your company’s projects. Your personalized benchmark report provide information how you can improve your project culture. Go here to get your Project Resolution Benchmark. For almost a quarter of century, The CHAOS Report provides the most accurate and in-depth reporting on software project performance. Get your copy in our store. The Standish Group, in conjunction with the Antwerp Management School, is offering a set of “nanoclasses” in January 2018. A nanoclass is a 90-minute, single-subject workshop that includes lecture, follow-up exercises, and activities. This set of 8 nanoclasses focuses on engaging business teams in digital transformation projects. Each will begin with a half-hour lecture including a Q&A session, followed by a 30-minute team exercise culminating in result presentations, and then an open networking session featuring access to professors. The following are the 8 nanoclasses. Coach and facilitator professors include: Evan Sorensen, Hans Mulder and Jim Johnson. These nanoclasses are designed for both academic credit and life-long learning. Life-long learners will receive a certificate for each nanoclass. Master students will receive academic credits. On July 11, The Standish Group and a newly minted graduate student will make two important presentations at the World Multi-Conference on Systemics, Cybernetics and Informatics:.WMSCI 2017. At 1 O’clock PM Professor Jim Johnson keynote is titled: CHAOS Update: CHAOS Update, Nanocources, the Winning Hand, and the root cause of IT Project Failure. At 10 O’clock AM Eaglan Kurek will present his research on the value of Enterprise Architecture. Last year, Jim Johnson and Hans Mulder outlined the new CHAOS University System, which is a partnership with The Standish Group, University of Antwerp, and the Antwerp Management School. This year Jim Johnson will outline the progress to date and future planned efforts. A major feature of forthcoming programs will focus on nanocourses and lifelong learning events. The second part of the talk will spotlight new discoveries. Using the CHAOS Database, we found the root causes of most project success and value. Eaglan Kurek presents his exploratory study on the value of Enterprise Architecture (EA). In his exploratory study it partially answers this question by looking at the value of EA on IT projects. The major part of his research was performed by mining The Standish Group’s CHAOS database. He investigated the success of projects by comparing before and after the implementation of an EA practice. We also relied on previous research. Eaglan Kurek is an enterprise architect and helps companies implement their information and business strategy. Eaglan recently graduated with great distinction from the Antwerp Management School (University of Antwerp) with a Master of Science degree in Enterprise IT Architecture. Mr. Kurek currently is part of Realdolmen, a large independent IT services provider/consultancy in Belgium. Page 1: Introduction: Chart: The Traditional resolution of all projects and DTP projects from FY2007–2016 within the CHAOS database. Traditional resolution is OnTime, OnBudget, and OnTarget. Page 2: Modern DTP Resolution: Chart: The Modern resolution of all projects and DTP projects from FY2007–2016 within the CHAOS database. Modern resolution is OnTime, OnBudget with a satisfactory result. Page 3: DTP Resolution by Size: Chart: Caption: The resolution of DTPs by size from FY2007–2016 within the CHAOS database. Page 4: Complexity: Chart: The resolution of DTPs by complexity from FY2007–2016 within the CHAOS database. Page 5: Size-Complexity Matrix: Chart: The Size-Complexity Matrix provides guidelines for categorizing a project in order to assess the risk and effort. Page 6: Size-Complexity Matrix Guidelines: Two Charts: 1) Guidelines on how to measure the size of a project and 2) Guidelines on how to measure the complexity of a project. Page 7: Project Sponsor: Chart: The resolution of DTPs by the skill level of the project sponsor from FY2007–2016 within the CHAOS database. Page 8: Emotional Maturity: Chart: The resolution of DTPs by the emotional maturity skill level of the project team from FY2007–2016 within the CHAOS database. Page 9: Competent Staff: Chart: The resolution of DTPs by capability from FY2007–2016 within the CHAOS database. Page 10: Optimization: The resolution of DTPs by the optimization skill level of the project team from FY2007–2016 within the CHAOS database. Page 11: Agile Process: Two Charts 1) Growth of agile projects and decline of waterfall projects within the CHAOS Database from 2008 to 2016 and 2) The resolution of DTPs by agile versus waterfall from FY2007–2016 within the CHAOS database. Page 12: Project Manager: Chart: The resolution of DTPs by project manager skill levels from FY2007–2016 within the CHAOS database. Page 13: Type of Projects: Chart: The resolution of DTPs by type from FY2007–2016 within the CHAOS database. Page 14: Goal: Chart: The value of DTPs by goal from FY2007–2016 within the CHAOS database. Page 15: Industry: Chart: The resolution of DTPs by industry from FY2007–2016 within the CHAOS database. Page 16: Factors of Success/Value: Table: reflects our opinion of the importance of each attribute and our recommendation for the amount of effort and investment that should be considered to improve DTP success and value. Page 18: Value Optimization Service: overview of the program which results in a closed-loop system of continuous self-reflection and improvement. The Special CHAOS Report on Digital Transformation Projects is available free to members in our report sections of our website dashboard. Non-members can purchase the report in our company store. The Sponsor Resource Center has several products and services to improve project sponsorship. If you are a project professional or a project sponsor we can help. For the project sponsor we have 3 resources. First take our short 10-question evaluation. Free when you register. 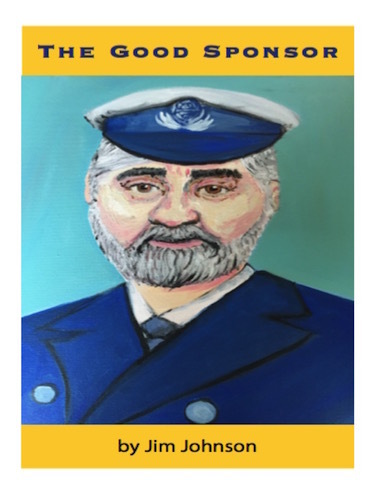 Second, purchase and read our new book, The Good Sponsor and do the exercises. The book outlines the 50 skills need to be a good sponsor and provides exercises and assessments on those skills. Last take the full 50-skills assessment. This assessment will provide you with a score and benchmark report. The 5-page report provides suggestions to act on to get better at the most important skills you need to improve to be a better sponsor. You can purchase the assessment in our store. For the project professional we have 2 resources. First is our new book, Jackie and the Three Bears. This is a fun book with a serious message. The book outlines an interview process with 3 different bears on the important skills of a project sponsor. It draws conclusions on what makes a good sponsor. It also doubles as a doodle book and notebook. You can purchase this book in our LuLu Store. Second is our Executive Sponsor Research Report. Executive Sponsor Research Report is a concise overview of the outcomes based on the skill-levels of the project sponsor. The report also outlines roles, responsibilities, and skills needed to be an effective executive sponsor. You can also purchase this book in our LuLu Store. Other books and reports go to our LuLu Spotlight. The Standish Group announces the publication of Jim Johnson’s second book for children. Saving Jimmy is a fun story about a lost boy. 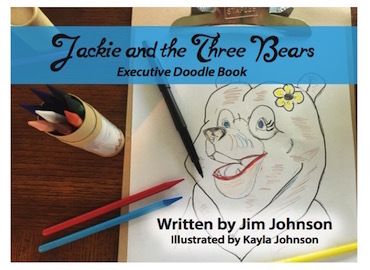 The Adventures of Jackie series provides easy to understand basic project management lessons aimed at children. Jackie the Squirrel is a project manager. Jackie enjoys solving problems through managing projects. In saving Jimmy, Jackie first observes Jimmy wandering around woods looking lost. Jackie decides to make a plan to save Jimmy from freezing. Jackie then acquires resources and executes the plan. This graphic book demonstrates project management lessons through colorful and delightful common forest birds and animals. Each page is a unique hand painted work of art by Kayla Johnson. Displaying 1-10 of 31 result(s).